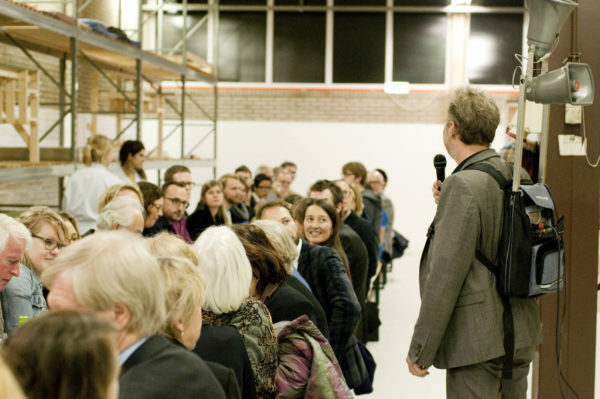 Jurgen Bey addressing the audience at Utrecht Manifest 2012 – How May I Help You? PEOPLE • noun plural noun: people; noun: people; plural noun: peoples; noun: one’s people; plural noun: one’s peoples. 1. The members of a society without special rank or position. “she is a favorite of the people”. 2. One’s parents or relatives. “my people live in Warwickshire”. 3. The members of a particular nation, community, or ethnic group. “the native peoples of Canada”. informal folk, peeps, race, tribe, clan, ethnic group, strain, stock, caste, nation, country, population. Origin: Middle English: from Anglo-Norman French poeple, from Latin populus ‘populace’.